Nayve Soul is music producer who developed his own twist and his own eclectic approach to Techno, House and Electro. Recently, he set out to release a brand new EP titled "All Those Fancy Words". The release features 4 original mixes that highlight's the producer's sonic aesthetics. The title track of this release strikes for its harmonic punch and driven beat, while tracks such as "Wake Up Call" and "Waiting" really showcase the broad creative vision behind the work of this producer. 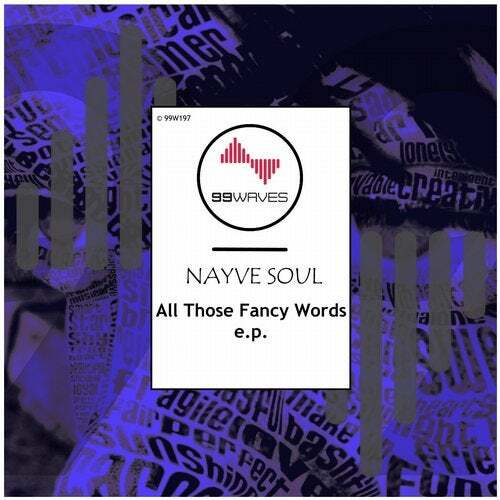 Nayve Soul seamlessly allows the groove and pace that's typical of great techno to collide with a richness of sounds and textures that is commonly associated with great electro. "Amaranthine Love" is one of the EP's stand out moment, with an arrangement that has an almost progressive feel and openness. As a result, these songs have a really catchy feel that adds more depth to the bare bones of techno that solidify the arrangements. This eclectic producer set out to make a truly bold statement with this release, showcasing his skills and connecting with the audience with four explosive and memorable tunes.